At Harlem Center for Aesthetic Dentistry, we are continually striving to integrate the most advanced and effective technologies into our practice in order to ensure the safety, comfort, and overall satisfaction of our patients. Under the guidance of Dr. Ernest Robertson, our team places nothing above the needs of our valued patients, whether they require full mouth reconstructions using state-of-the-art dental implants or general dentistry services designed to meet the needs of the entire family. Whatever an individual patient’s needs and goals, all successful dental procedures start with meticulous planning. The planning phase is essential to achieving the best possible results, from a single porcelain veneer to multiple implant-supported prostheses. This is why Dr. Robertson is pleased to announce that he has introduced cone beam imaging technology into his practice. 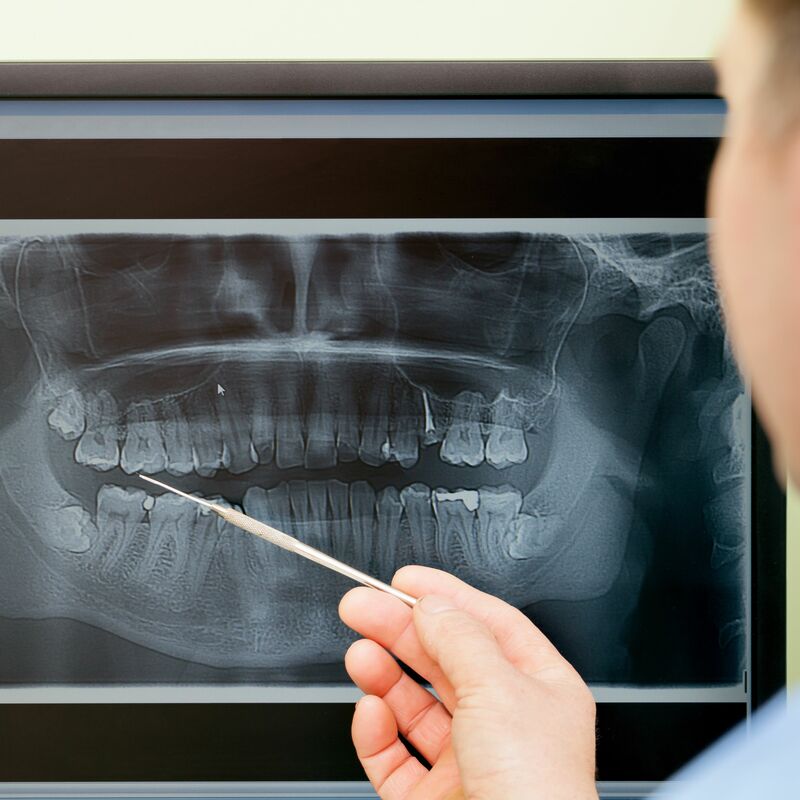 While cone beam volumetric tomography has been used in other fields of medicine for years, it has only recently been used in dentistry; yet, it has already had a profound impact on how dentists have been able to diagnose oral conditions and plan treatment. As a patient of Dr. Robertson’s, you will become accustomed to expecting only the best in dental care. We invite you to take the first step toward becoming part of our family of patients by scheduling your initial consultation with Dr. Robertson today. What Is Cone Beam Volumetric Tomography? Cone beam volumetric tomography, also known as cone beam computed tomography (CT), is a quick, painless, safe method of taking three-dimensional images of your mouth and its structures, including its various hard and soft tissues. It takes about a minute to capture a comprehensive picture of your dental structures down to the finest detail. The term “cone beam” refers to the conical shape of the x-ray beam, which enables the three-dimensional scan, as opposed to the two-dimensional image captured by conventional x-ray beams. What Are the Applications of Cone Beam Volumetric Tomography? Many dentists believe that cone beam volumetric tomography will one day be necessary to the proper diagnosis of dental issues and subsequent planning of treatment. At present, relatively few practices feature this technology. Harlem Center for Aesthetic Dentistry is proud to be among them. To learn more about cone beam imaging in dentistry, or to schedule your initial consultation with Dr. Ernest Robertson, please contact Harlem Center for Aesthetic Dentistry today.